Talk title: The magic and myths of Silent Pool and its award-winning gin. Silent Pool Gin Distillers is based in an extraordinary location on the Duke of Northumberland’s Albury Estate in Surrey. Silent Pool Distillers is now exporting to 26 countries and launching in the USA and Japan this summer, as well as rolling out across the UK with Waitrose, Majestic and M&S. 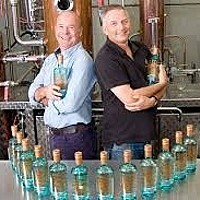 They produce four gins, a vodka, liqueurs, schnapps, smoked salmon, run tours seven days a week at its site in Albury and attend around 400 events across the country each year.